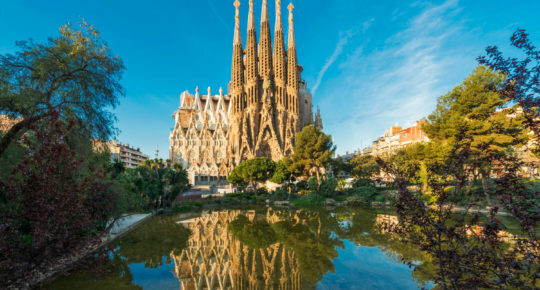 From Galicia’s glistening ocean waters to Andalucia’s stunning hidden coves, Spain is home to some of the world’s most beautiful beaches… but some of its most dazzling are well off the beaten track. This summer say “adios” to scrambling for sand space and take the road less travelled to enjoy these little slices of Spanish heaven. TROPICAL PARADISE: Known to the locals as the ‘Galician Caribbean,’ this archipelago is one of Spain’s best-kept secrets. Sitting pretty seven miles into the Atlantic Ocean, Las Islas Cies are a true tropical paradise. The twin islands of Faro and Monteguado are linked by Playa de Rodas, widely regarded as one of the world’s best beaches. The crescent beach is home to white powder sand, crystal clear turquoise water and an incredible array of sea life and birds of paradise. 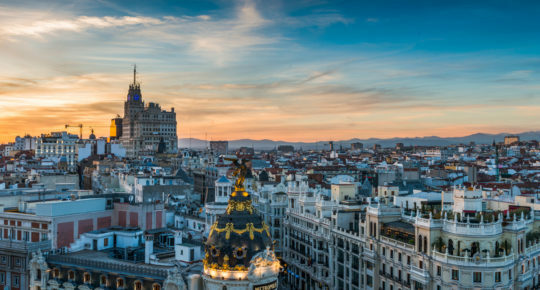 HOW TO GET THERE: Fly to Santiago de Compostela. 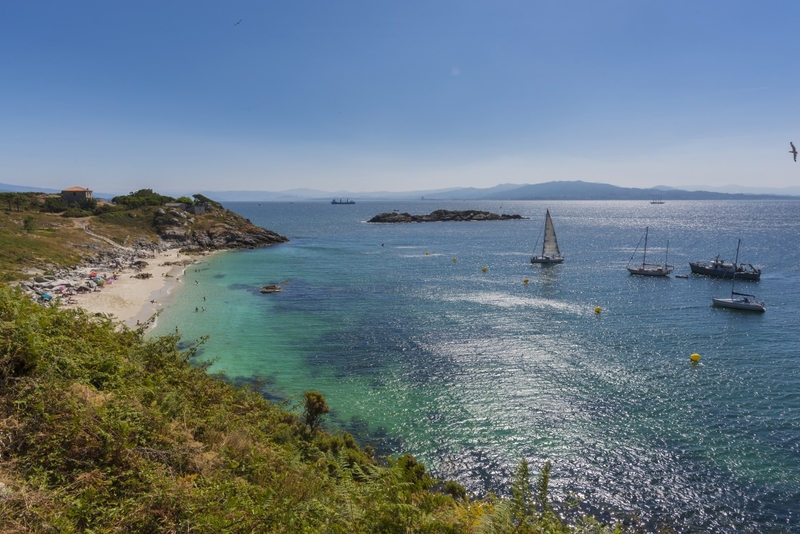 A 50-minute drive will bring you to the port at Vigo where there are regular ferries to the Cíes Islands. 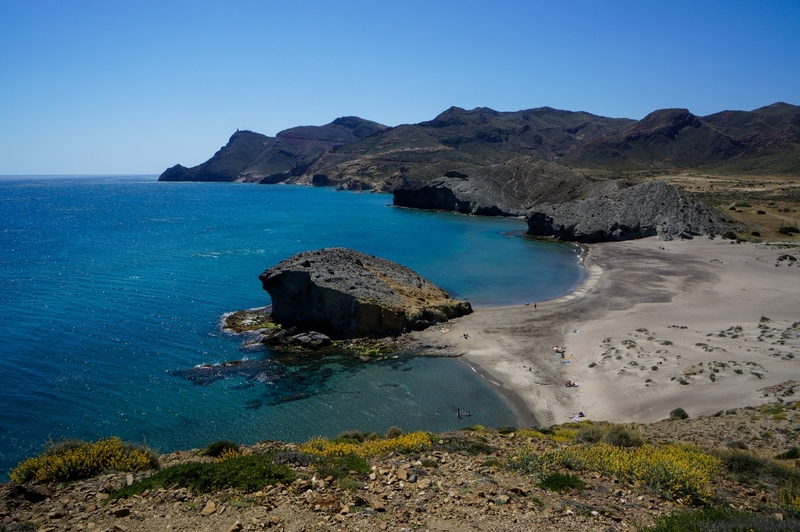 UNSPOILT BEAUTY: Nestled in the Cabo de Gata National Park in southern Spain, Playa de Mónsul is one of a string of spectacular beaches in the area. Visitors can look forward to relaxing on shimmering sands and soaking in the fascinating landscape of enormous sand dunes and volcanic rock formations. MOVIE HISTORY: One of the closing scenes of Indiana Jones and The Last Crusade (starring Harrison Ford and Sean Connery) was filmed on this beautiful beach. HOW TO GET THERE: Cabo de Gata National Park is a two-and-a-half hour drive from Malaga. There are also shuttle buses from nearby fishing village, San José. SECRET INLAND BEACH: Playa de Gulpiyuri in Asturias, northern Spain is one of the world’s most unusual (and tiniest!) beaches. Why? It’s tucked away in the middle of a meadow more than 100m from the shoreline. How? Salt water from the Cantabrian Sea formed underground tunnels that feed water to the beach. Crystal clear water from the nearby Bay of Biscay enters these tunnels and washes up on Playa de Gulpiyuri in waves. 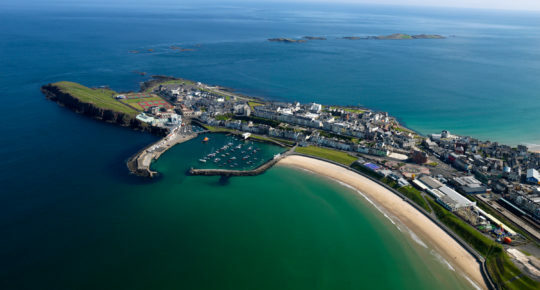 SMART TIP: There are no amenities nearby, so make sure to bring food, water, sun cream and any essentials on your visit. HOW TO GET THERE: A two-hour drive west of Bilbao takes you to pretty seaside town, Llanes. From there head to Naves and turn off the A8 to reach this magical beach. 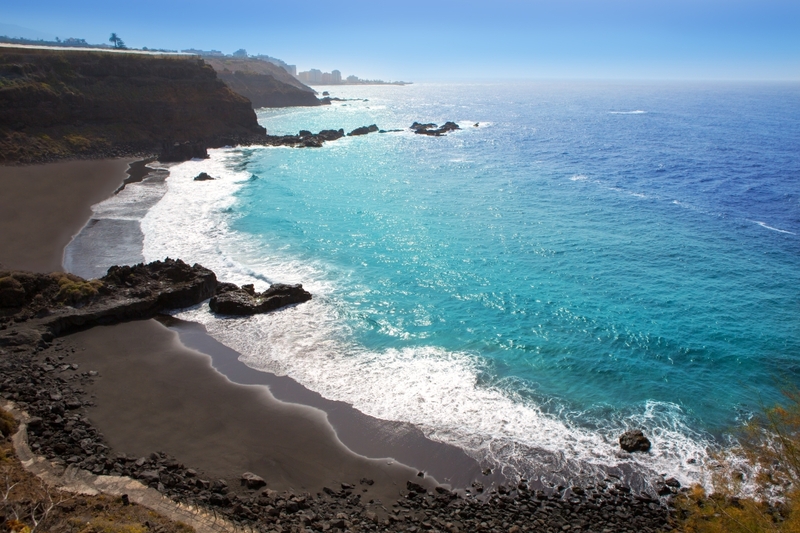 HIDDEN GEM: A 45-minute walk (look out for the banana plantations along the route) from Puerto de la Cruz in the north of Tenerife takes you to this unique black sand beach. This is a world away from the island’s busy tourist resorts. HOW TO GET THERE: Playa El Bollullo is just over an hour’s drive from Tenerife Sur airport. Pretty colonial town La Orotava is en route – stop by to explore cobbled streets and colourful plazas. PARADISE ISLAND: El Cotillo Beach and Lagoons on the northwest coast of Fuerteventura is a blissful place to visit. Swim, snorkel and sunbathe in the lagoons, enjoy the sound of the crashing waves and soak in the natural beauty of the area. Take a walk to the nearby harbour and explore the peaceful fishing village of El Cotillo. Head to La Vaca Azul for fabulous fresh tapas. 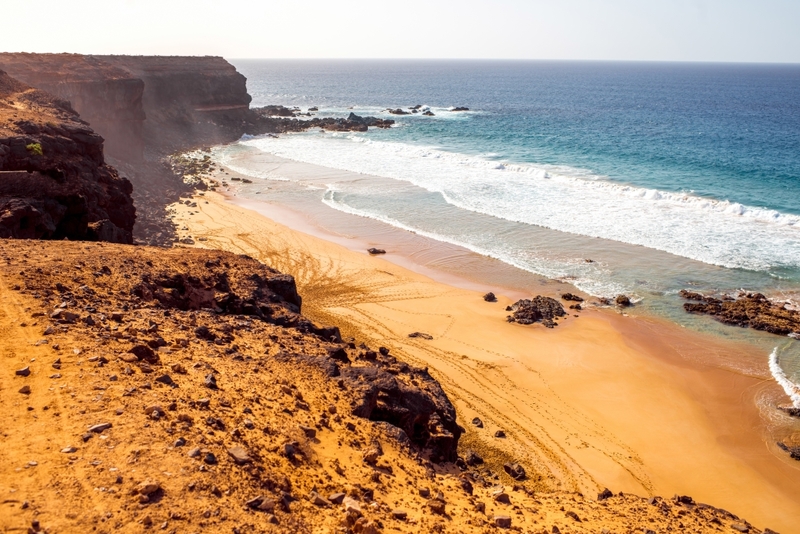 HOW TO GET THERE: El Cotillo village is a 40-minute drive from Fuerteventura airport. 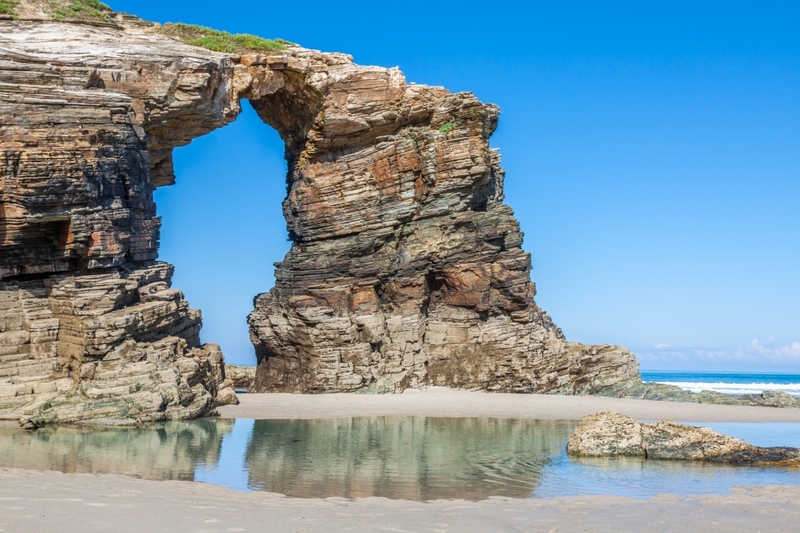 JAW-DROPPING SEA ARCHES: Nestled on Spain’s northeast coast, Beach of the Cathedrals (Playa de las Catedrales) gets its name from the beautiful stretch of naturally-formed cliffs, soaring arches and sea caves along its mile-long shoreline. Thousands of years of crashing Cantabrian Sea waves led to the formation of this magical landscape, which bears a resemblance to Australia’s famous 12 Apostles. SMART TIP: Check the tide forecast before your visit. While the arches can be explored extensively at low tide, when the water returns, the geological formations disappear almost entirely. HOW TO GET THERE: Fly to Santiago de Compostela. A 90-minute drive will bring you to Ribadeo, the nearest town to Beach of the Cathedrals. 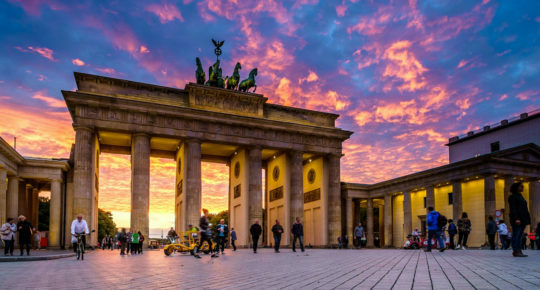 Planning your summer break? Read our guide to 48 hours in Lisbon or find out why Bordeaux makes for a great city break.